Locally Grown: Spoonbar Chef Sees The Need For F.E.E.D. Mother Nature has favored mankind with immeasurable resources, and brilliant scientists have favored us with landmark discoveries. So it's a mystery why the most important aspects of life are so often overlooked. Our health, for instance. The way to solve problems is through food. I believe that the whole world has to be educated. Every decision we make is a very political decision. If we change the way we eat, we will have tremendous effect. It's Wednesday morning at the North Berkeley Senior Center and twangs of country music might make you think you're in a friendly down-home bar in Texas. The highest court was the last hope for Drake Bay Oyster Company (DBOC) to stay in business; after almost a decade of political and legal wrangling, the family-run farm has been evicted from its home of 70 years. The Edible Schoolyard in Berkeley is a one-acre organic garden and kitchen classroom in Martin Luther King Jr. Middle School. Alice Waters has shaped our food culture, our restaurants, our home kitchens, and even our gardens for more than four decades. When I had Alice Waters over to my house for dinner, there was just one thing I wanted from her: to learn how to make real restaurant-style salad dressing the way she makes it. I needed to know the secret! Each of these 11 chefs is a pioneer in the sustainability movement. Let their food philosophies serve as an inspiration for your own Independence Day festivities! 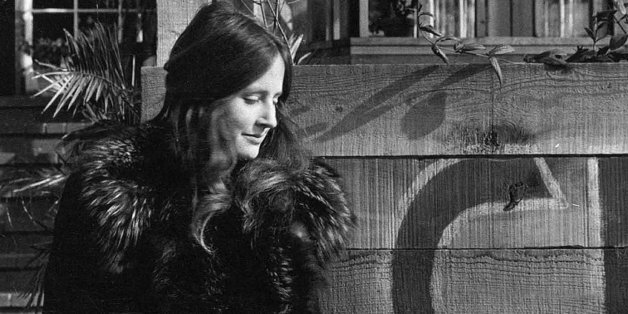 The rebuild of Alice Waters' Chez Panisse restaurant after a devastating spring fire owes a lot to Gene DeSmidt, the general contractor responsible for the icon's comeback. I remember school cafeteria food -- with a certain amount of horror -- but not actually eating it. What I remember was our lunch lady cashier, who was huge and mustached and who scared the bejesus out of me. Once, as I paid for lunch, I dropped a coin into my spaghetti. Lemons Are My Passion, and Our Trees Are in Peril! When I first moved to California, I marveled at the fact that I had a lemon tree in my backyard. As a sometime chef, I consider lemons the prime secret ingredient making most dishes sing-and-zing with flavor. Chef Allegra McEvedy loves her knives, all 100 of them, each with a story to tell. Though it's hard to say what she likes more: her vast collection of knives or her world travels on which she collects these specimens of international chefdom. San Francisco's New Food Movement: Is The City Experiencing A Dining Renaissance? Cooking contests not only make great reality TV. They also inspire creativity, attract publicity, and potentially raise money for charities while celebrating local products, industries and cuisine. The world may be going through a rough financial time, but if we all pull together, we can still find ways to cooperate and enjoy the most basic of human joys, the joy of taste! Waters's influence on how America approaches food, farming and cooking is indisputable. Cynicism is easy and creates nothing new. But an entire industry has changed thanks to Chez Panisse.